On Sale! 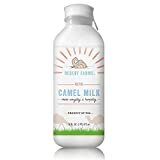 Up to 7% off on Dairy Milk at Love for Salad. Top brands include Nesquik, Desert Farms, Organic Valley, Great Value, & Anchor. Hurry! Limited time offers. Offers valid only while supplies last. 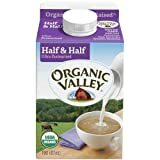 Organic Valley Ultra Pasteurized Half and Half Milk, 16 Ounce -- 12 per case. View more products in Milk & Cream.